Eloise's imagination is on another level these days. We are constantly amazed by how she plays with her toys or with others. One of the most entertaining things she does is reenact scenes from her favorite movies and cartoons. By far, my favorite is when she reenacts the scene from Frozen where Elsa is singing "Let it go." Eloise will ask for help in putting her little dress up gloves on for the sole purpose of taking them off and throwing them in the air like Elsa does. Next, she will take down her hair like Elsa does as well later on in the song. When anyone comes over to the house, she jumps at the chance to take them upstairs and show them the nursery. 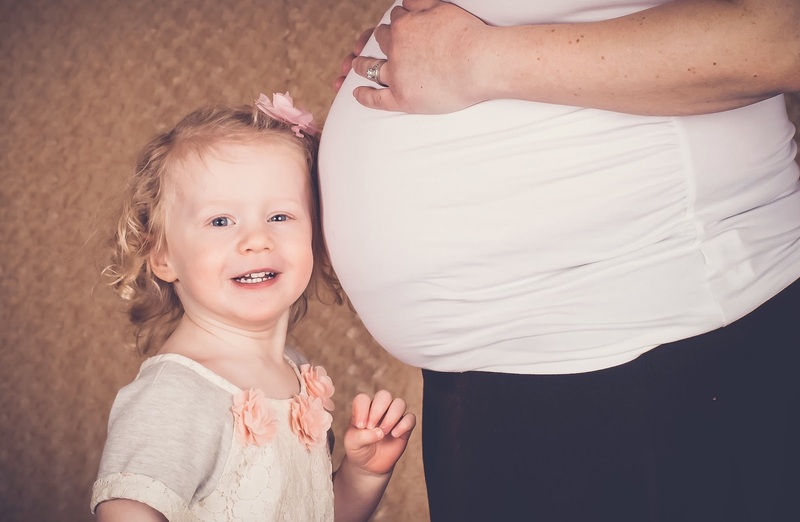 She refers to the nursery as "baby brother's room." She likes to go through all of his books and tell us how she will read to him. Of course, she likes to go through his closet as well and pick out her favorite clothes and shoes. She always tells us that his clothes are too small for her and they don't fit. All about that...potty...that potty...no diapers! 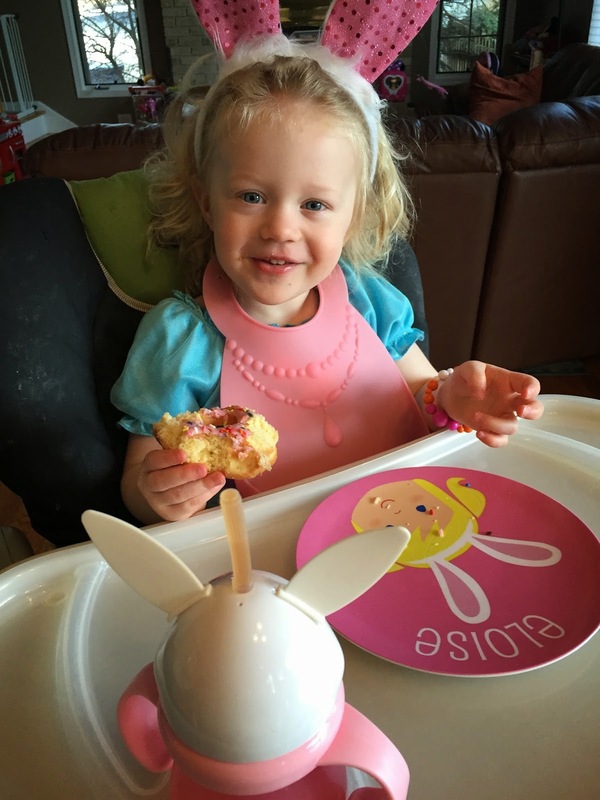 Over the past few months, Eloise has been making steady progress with potty training. Her teacher at daycare is really the one to thank for this because she has been working with Eloise (and Us) on potty training. Brad took potty training at home to another level by replacing the toilet in Eloise's bathroom with a toddler-size toilet. It is just like the ones at school and honestly really helped with the final stages. As you know, kids are all about routine. Having this new potty got her excited to go to the potty and helped reinforce the routine of using the potty on a regular basis. Eloise loves to show people her new potty and promptly tell them that they are too big for it. A few weeks ago, we enrolled Eloise in a dance class on Saturday mornings. She has to wear tights, ballet shoes, and ballerina outfit. She absolutely loves it. After taking her to register for the class, she kept telling us that she is going to be a "Ba-rina" aka Ballerina and "dance with the girls." I'm not sure how much she is learning but she loves to put her dress on for class and carry her little duffle bag to and from the car. 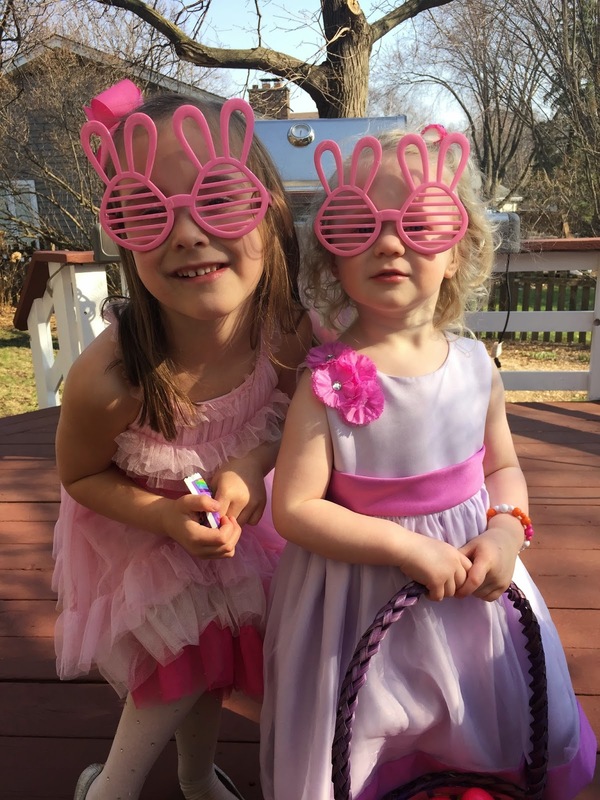 Eloise had a great Easter and participated in no less than 3 Easter Egg Hunts between a special outing with her Grandparents, School and Grandma's House. Just like with Santa, she really wasn't interested in the Easter Bunny. She loves the concept but don't you dare try to make her sit with the Easter Bunny or talk to him. 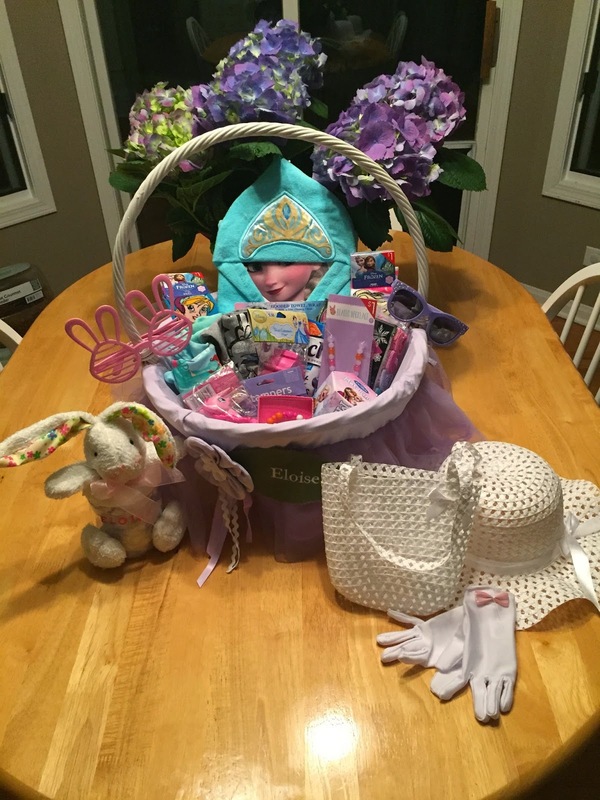 Her Easter baskets were filled with goodies associated with all of her current favorites - Frozen/Elsa, My Little Pony, Disney princesses, and Gardening. 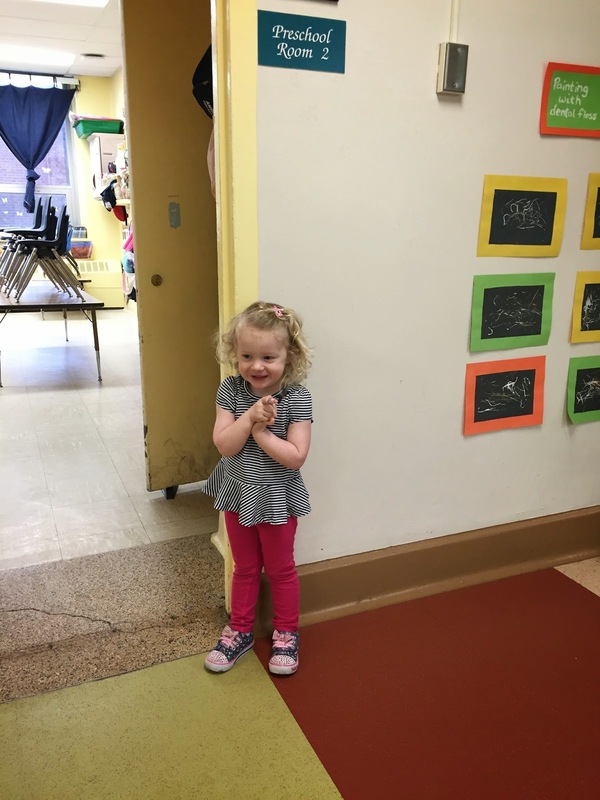 As of April 6th, Eloise transitioned from the Toddler Room at school to Preschool. With potty training mastered, she was ready for the next class. She is so excited to be reunited with some of her friends that have moved up over the past few months. Every day she talks about the adventures that she has with her 2 two girlfriends, Leah & Lauren, and refers to them as her sisters. With their blonde hair and love for all things pink, some of the teachers have said they could be sisters. Amazing how the kids pick up on that stuff so quick! 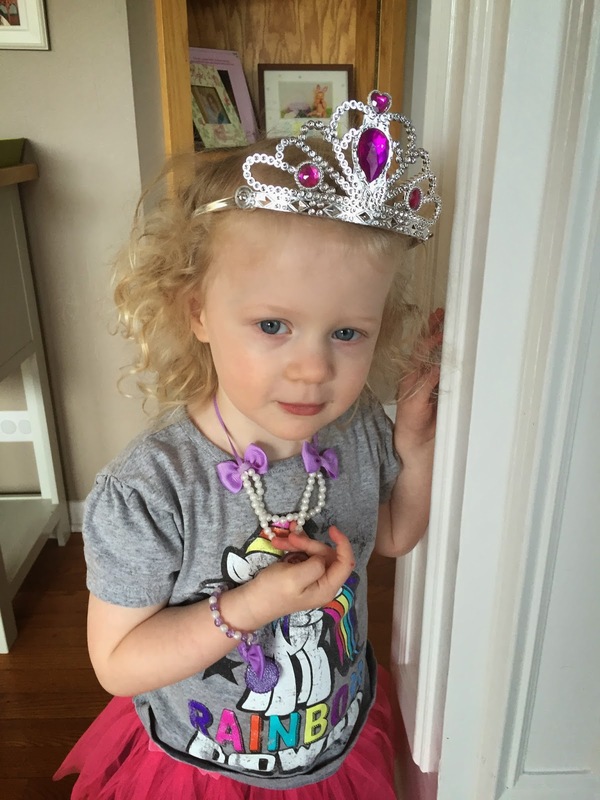 By joining Preschool, Eloise was able to enroll in Spanish classes offered as well. She has only had 1 class so far but stay tuned to see how bilingual she becomes. After only a few weeks, I have been blown away by the things that she has learned - days of the week, months, and weather. My favorite part is finding out what her job is for the week. Currently, she is the Line leader and from what she has told me, it seems like a big deal. 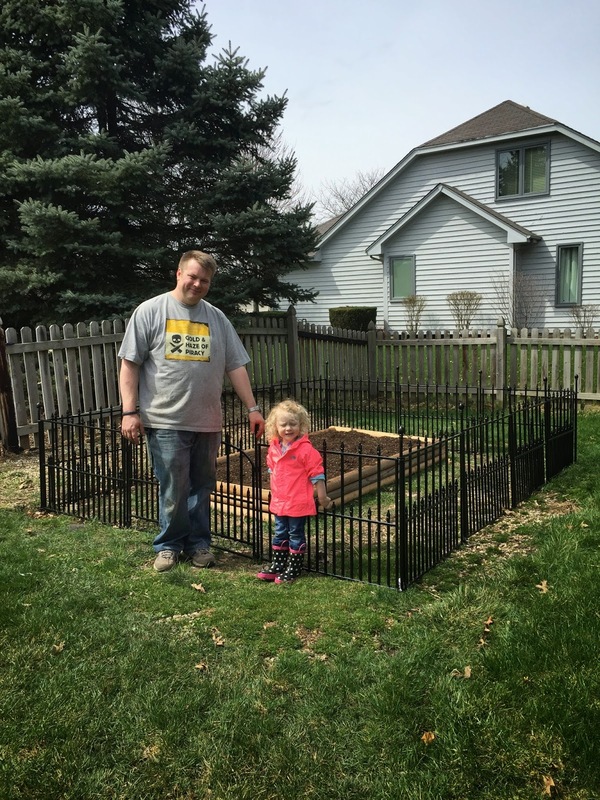 Daddy built this raised garden area for him & Eloise to grow some veggies this Spring & Summer. Eloise helped put up the fence to keep curious animals and pets out. She also helped fill up the garden bed with lots of dirt. 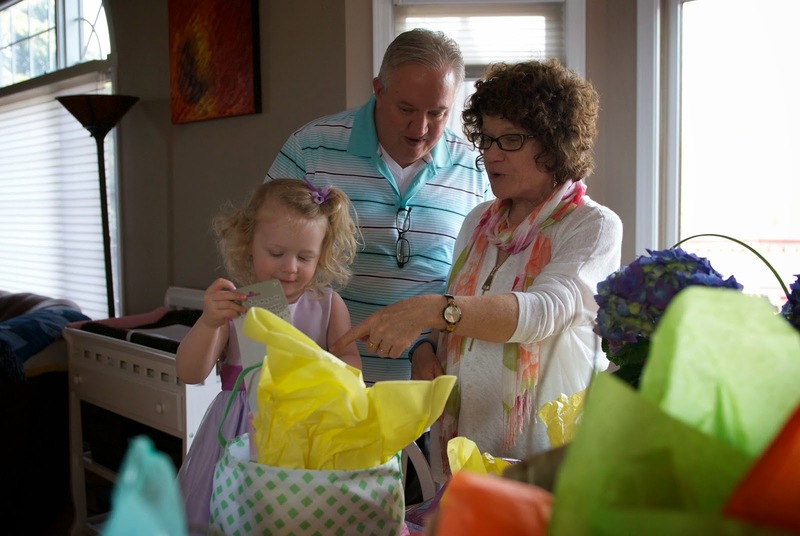 After receiving some gardening tools and seeds from the Easter Bunny, she was ready to go! 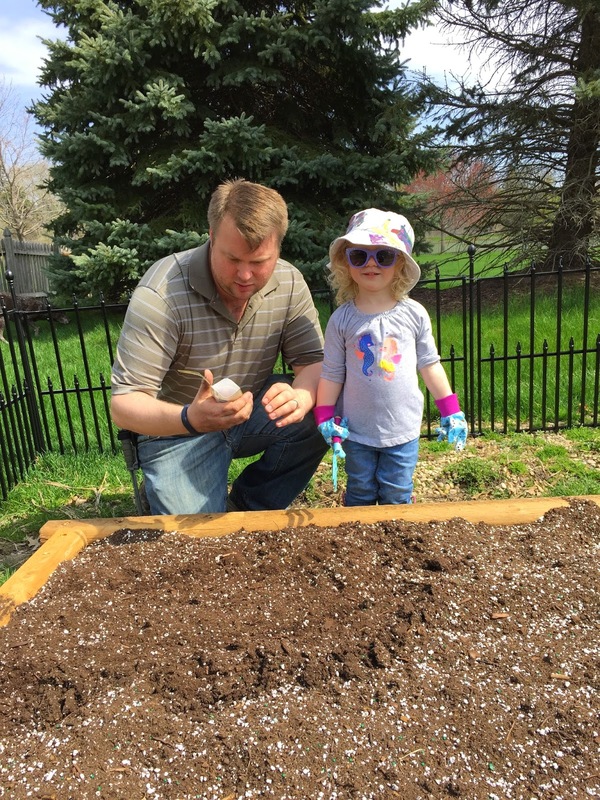 Eloise & Daddy planted their 1st round of veggies and are anxiously awaiting to see what pops up first.